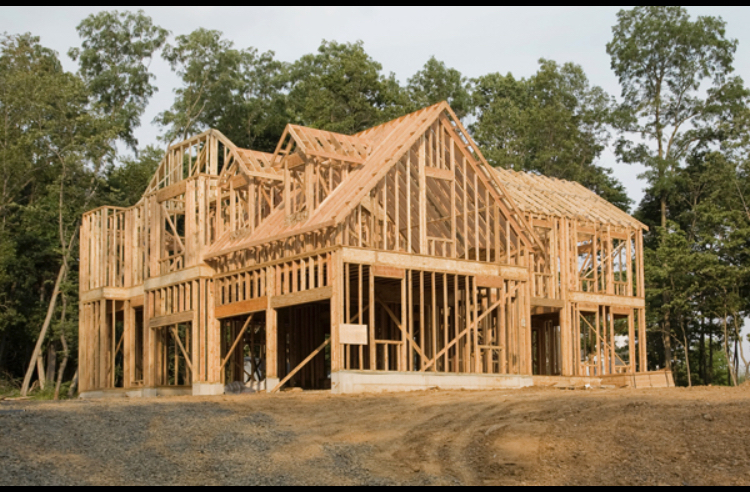 Home » Uncategorized » PLANNING FOR A NEW HOME!! You and your spouse just bought some land. Both of you are so excited about building and looking at floor plans. You are looking at different flooring and bathroom tiles, while your husband is dreaming about his new shop/outbuilding with built in man-cave. You find yourself a builder and that’s it! Right? Now I know it isn’t the most exciting thing to consider, but one of the most expensive items in your house when building in the country is your septic system. You will spend somewhere between $8,000-12,000 on it depending on the number of bedrooms in the house. I’m no mathematician, but I doubt you’re spending that kind of money on other appliances. If you’re going to be writing that big of a check, don’t you think it would be wise to make sure you give this “appliance” your attention? But not because I don’t want you to enjoy picking your flooring, tile and window dressings. I want you to really consider your wastewater system first and foremost so that someday when you have picked your floor plan and tile, you don’t have a horrible back up into your house that ruins all your nice new stuff. Also, when you’re paying an average $10,000 for a wastewater system, shouldn’t you do it right? You want to make sure that where ever you build your house, your system can flow downhill from it. You want your system to be able to use gravity as much as possible. This isn’t to say you can’t add a pump to move it someplace else, but adding a pump (or lift station) adds cost and extra problems later in life. Something you’ll notice happens pretty frequently in the country is the electricity goes out. When your electricity goes out, so does your pump that’s pumping all your waste AWAY from the house. So again, making sure your system can flow downhill and away from your home is a big deal. Remember that once you install your septic system it’s not just a “one and done” kind of scenario. Every 3-5 years you need to have this pumped. (It’s like changing the oil on your car, the more people the more frequently it needs to be pumped). Therefore, if you can plan where your tank will be placed this is also a good idea. When we come to pump a tank, we need to be around 60 feet to pump it, otherwise we have to drive on a yard. We try to avoid that as much as possible, but sometimes, that isn’t an option. Also, during wet or snowy months, if you have any problems, gaining access can be tricky. You might need to be pumped and we simply can’t get to your tank because of its location. We have had to be pretty creative sometimes, but here again, premature planning can help you. Also, in regards to landscaping, be mindful of too much! Especially around your tank! We don’t want to mess up your yard any more than you want us to, but in order to pump the tank, we have to be able to get to it. Installation of a septic system IS NOT a task that can be done no matter the season, or the weather for that matter. If it is too wet or too cold, we cannot perform installation work. We need the soil to work with us as we dig and wet dirt or frozen ground does not cooperate. Therefore, Mother Nature plays a HUGE role in our installation schedule. Depending on a given year, we can typically install from March/April to October/November. However, we can have pretty wet springs and just like fall of 2018 we can have pretty wet falls too. If the weather permits during the winter months (sometimes we have 60 degree days in February!) we can install a system or two, but for the most part, all installation ceases come wintertime. With this in mind, the sooner we know about your project the easier it is for us to get you worked into our schedule. Unfortunately, someone calling in October wanting a new system before winter hits, probably isn’t going to happen.